Holiday Cards – SAVE NOW! Why wait for the holiday craze? Why stress about working around school schedules, soccer games or other activities? With a few more weeks of summer left and while you’re still rockin’ that fabulous tan, book your session now and check this task off your list! 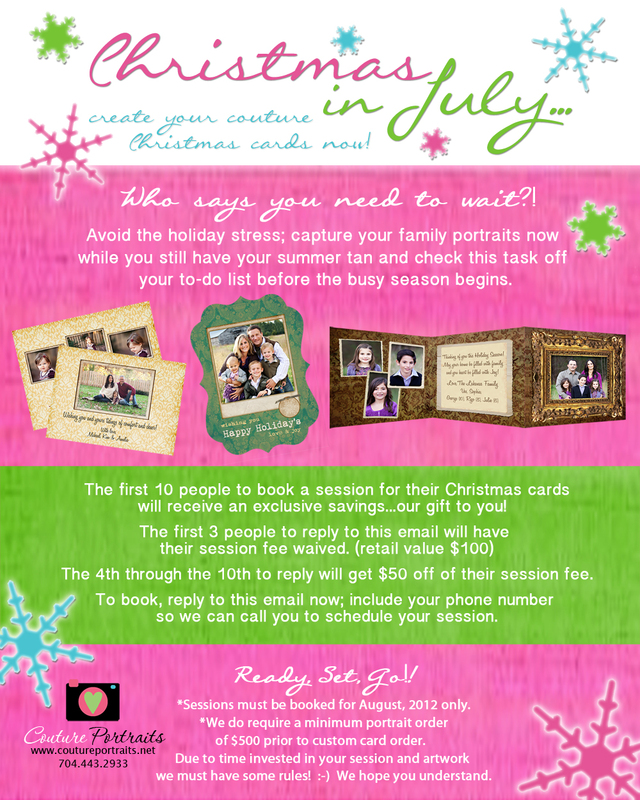 Be one of the first to respond and save big on your session!